One of the most important aspects of a road trip, besides maybe driving a ’57 Thunderbird convertible, is a cool soundtrack for the road. 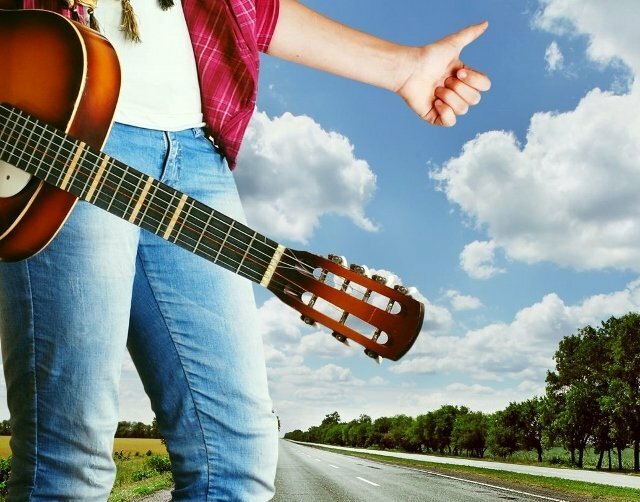 Some top road trip songs are more suited to pressing the pedal to the metal as you race on through a desert landscape, watching the dusty miles peel away, while others better fit the melancholy that sets in at the end of another 10 hour day in your car. Not quite a one-hit wonder, Canadian singer Tom Cochrane scored a few hits with his original band Red Rider. Petty has written several kickin’ road trip songs but we’ll go with this one. Any song that mentions a T-Bird is all right by me. A melancholy drive along the Pacific Coast Highway from a woman who certainly knows melancholy. Oh how I can relate to those lyrics. No one can sing pain like Tracy Chapman. In his 80s, Willie still tours 300+ days a year. He must be having some fun on that bus of his. Sometimes road trips are all about leaving your old life behind. Pearl Jam captures this feeling perfectly. Originally recorded by Orbison but not released until after Cyndi Lauper’s version rode the charts. See if you can recognize the two stars of the day in this video. Extra points if you know the car they’re driving. With lyrics like “chrome wheel, fuel injected, stepping out over the line” this song had to be on this list. I was driving across the Badlands of South Dakota at the end of a very long day when this song came on the radio and kept me going. Regular readers of this blog may have noticed that we quote U2 lyrics quite often. From the soundtrack of Easy Rider and still the undisputed king of the road trip songs. What are some of your favorite driving songs? To follow our journey around the world in search of the tasty, historical and quirky and receive valuable travel tips subscribe here.